Dr. Malcolm Schwartz is a founding member of Consultants in Urology. He received his bachelor’s degree from The George Washington University in Washington, DC in 1967, and his medical degree from The New Jersey Medical School in Newark, New Jersey, in 1972. Dr. Schwartz trained as an Intern at The Mount Sinai Hospital in New York City, where he also served his Residency in General Surgery. 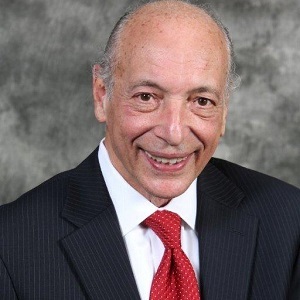 He completed his Urology Residency at Bellevue Hospital Center, The Manhattan Veterans Administration Hospital, Memorial Sloan Kettering Hospital for Cancer and Allied Diseases and The New York University Medical Center where he was Chief Resident in Urology from 1977 to 1978. Dr. Schwartz is certified by The American Board of Urology and was formerly Chief of Urology at Overlook Hospital in Summit, New Jersey, and Union Hospital in Union, New Jersey, as well as Chief of the Medical Staff and a member of the Board of Trustees of Children’s Specialized Hospital in Mountainside, New Jersey where he currently serves as a consultant. He has been honored as a “Top Physician” in The Castle Connolly Guide, America’s Top Physicians and has also received The Nurse’s Choice Award from New Jersey Monthly Magazine. Dr. Schwartz practices all aspects of Urology and has particular expertise in Male Infertility. He is a member of The American Society of Reproductive Medicine and a consultant to Resolve, the national infertility organization. Dr. Schwartz was honorably discharged with the rank of Lieutenant Commander after serving twenty years in the Medical Corps of the United States Naval Reserve. He is married with four children and resides in Westfield, New Jersey. He is licensed to practice medicine in New Jersey, New York and Connecticut.